The Allingham Room serves as a small Conference room and also utilised for smaller functions and parties. The Erne room is a luxurious function and conference room and caters for up to 300 persons for conferences and functions. Dorrians Hotel, Ballyshannon is situated within easy reach of many National and International Airports such as Donegal, Sligo and Derry Airports and Knock, Belfast and Dublin Airports. 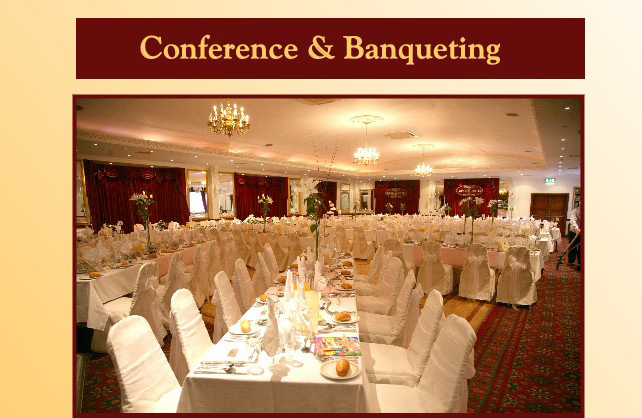 Whether it's a meeting, exhibition, training, seminars, work shops or private occasion, the hotel is committed to providing a professional service, which has earned the hotel its esteemed reputation. Fully equipped with screen flip charts, Wi-Fi and capable of customizing our service to your specific needs.